Catherine Burns, Nutritional Therapist and Managing Director of local company Natural Ltd. has teamed up with Sergio White at Positive Results for a repeat performance of their “Beat the Couch” programme. The new programme begins on Wednesday 2nd October and culminates in a 5K race on December 15th. They launched the concept in May earlier this year, helping 47 non-runners get off the couch and “5K fit” in just 10 weeks. 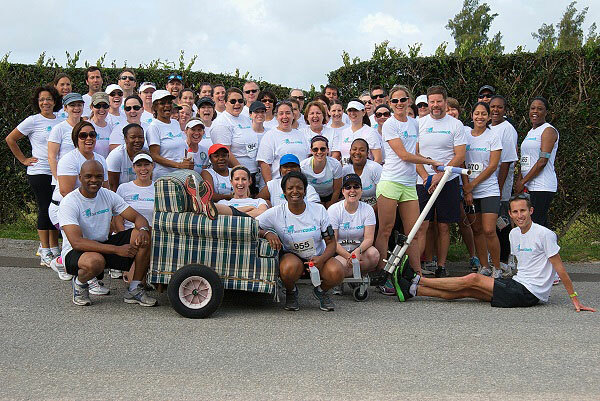 Participants were challenged to Beat the Couch physically [by getting off it and committing to their training] and they were challenged to beat it literally too. On race day, many North Shore residents woke to a surprise, witnessing a couch on wheels zooming past their windows. 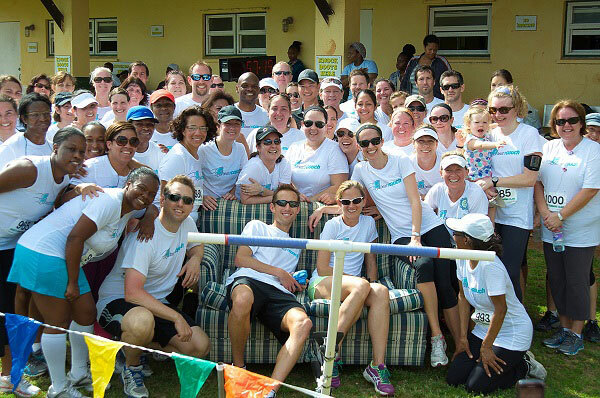 The couch was pushed by Bermuda’s elite runners Chris and Ashley Estwanik. Although couch to 5K in 10 weeks seems optimistic, Mrs. Burns said the concept is a tried and tested formula. “We based our Beat the Couch programme on the classic “Couch to 5K” interval training schedule. We were also part of a team that trialed the concept at Argus previously too. Mrs. Burns and Mr. White hope that October’s programme draws in another great set of aspiring runners. They noted that last year’s participants were a varied crowd – drawing in people who were completely unfit and people who were active, but who hadn’t got to grips with running. The Beat the Couch programme costs $395 per person, including all 30 training sessions, nutrition advice, motivational sessions, race day registration and the team t-shirt. Full details can be found here or you can call Catherine Burns on 505-4725 for more information. Sounds great!!! until I read the cost Maybe one day! It is a ten week course though………. I have to admit thats rather steep! !